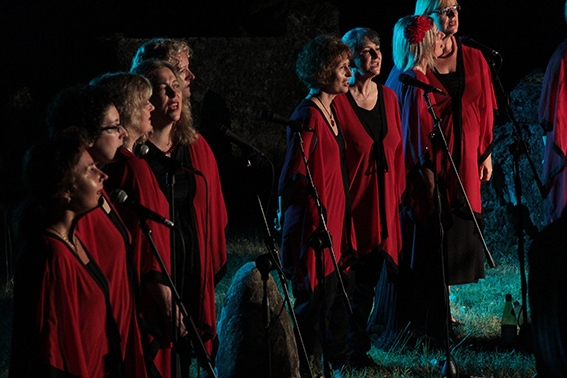 Gondwana Voices choirs are the National choirs stemming from the work of Lyn Williams with the Sydney Children's Choir. Their Summer School at UNSW in January 2018 culminated in performances on Wednesday and Thursday January 17 and 18. Llew and Mara worked on a special project of Eastern European singing with 32 choristers, and presented two items at the Clancy Auditorium, University of New South Wales, on the evening of January 18, accompanied by Mara on tapan and Llew on bozouki. Mara! brought their acclaimed World/Jazz fusion to the Bondi Pavillion on Thursday March 8. 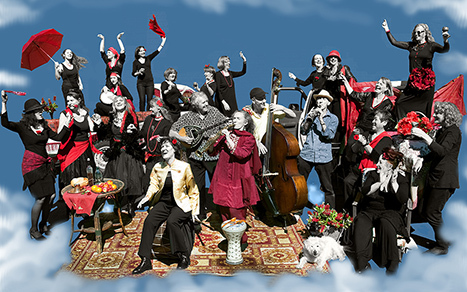 The gig was part of a month long Jazz festival held annually through the Waverley Council's Music and Arts program. 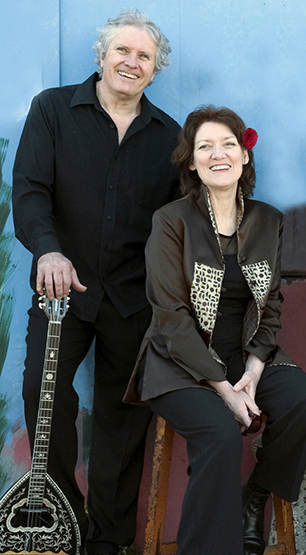 Since Paul Cutlan was working with the Sydney Symphony Orchestra that week, Loretta Palmeiro deputised on alto sax. Loretta has been one of the Mara! Musica Viva In Schools performance team for several years, and has toured with Mara! in Western Australia, and widely in NSW as well. Mara! performed in Melbourne in May and the Hunter Valley/Newcastle in July for a solid 4 weeks of touring for Musica Viva in Schools (MVIS). In October Mara! toured for a week in Adelaide on our final tour with the current program. In 2019, Mara! is developing a new show for touring for MVIS from 2020 and beyond. Joining Mara and Llew Kiek for the trips was maestro Dave Ellis on double bass, who has regularly toured with Mara! for Musica Viva over the last four years. Paul Cutlan, Sam Gill and Tim Clarkson shared the wind chair at various points during the 3 tours. 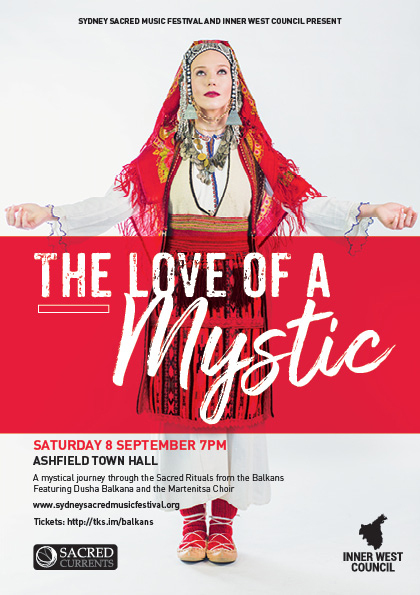 Sydney Sacred Music Festival presents a mystical journey through the Sacred Rituals from the Balkans. This new work, presented at Ashfield Town Hall in September, showcased the journey of a man following his ‘inner call’. Propelled forward by the Sacred Rituals from the Balkans, our mystic is searching for eternal love but where will his ‘desires’ lead him? Dance, music and costumes from Balkan countries. Featuring Yorgo Kaporis & Dusha Balkana, Mara & Llew Kiek, plus special guest musicians and Martenitsa Choir with Bulgarian soloist Maria Koleva. In their first appearance at Blackheath Choir Festival since 2008, Martenitsa choir performed in the Saturday night concert this year, with a short but exquisite set of Bulgarian traditional music, including a Bulgarian liturgical song arranged by the father of 20th century Bulgarian choral music Dobri Hristov. They were joined by Llew Kiek on bouzouki and Mara Kiek on tapan for their original arrangement of Bulgarian dance song 'Zaliubih mamo tri momi". Mara! Ensemble returned to Sydney's top club, Foundry616, on Saturday June 16 2018. 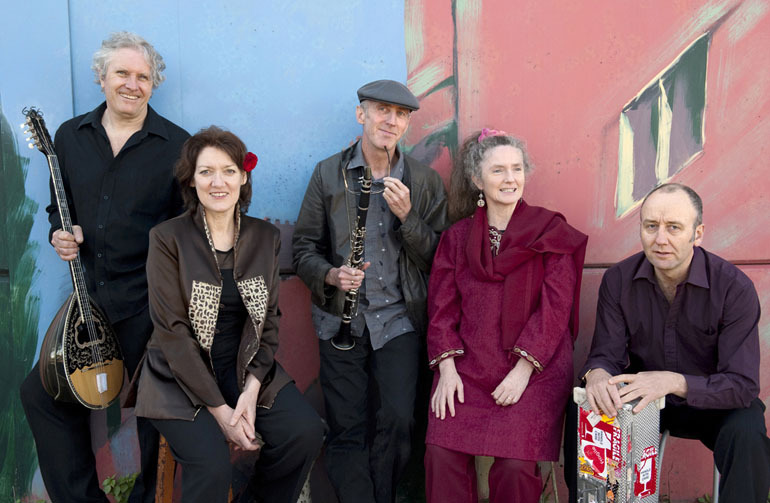 They performed an all original program of works penned by members of the band past and present, along with one from world music legend the late, great Kim Sanders. It was a fabulous night of superb music, excellent food and drink and great ambience. As well as the usual Mara! lineup (Mara and Llew Kiek, Sandy Evans, Paul Cutlan and Lloyd Swanton), fans were treated to a guest appearance by Sam Gill on alto saxophone for a knockout version of Llew's 'Fair Kop'. Mara! and Martenitsa joined forces for a feast of original music penned especially for the joint ensemble, with guest artists Bulgarian soloists Silvia Entcheva, Maria Koleva, plus gaida wiz Vas Haralambous and kaval genius Ivo Karamanliev. On show was a preview of the all-original works for their next CD (working title ‘Za vas, Ot nas’), due for release on CD in 2019.